Looking to pursue a plumbing career in Jacksonville, FL? Harry L. Hayes Plumbing, Inc. is now hiring motivated, honest and experienced plumbers. Business is booming in the plumbing industry in the Jacksonville area and we are in need of skilled plumbers who have a history of verifiable work and experience. We are seeking plumbers proficient in residential and commercial service, repair, maintenance, installations and new construction. Start your career with Harry Hayes Plumbing! Harry L. Hayes Plumbing, Inc. is an equal opportunity employer. This application will not be used for limiting or excluding any applicant from consideration for employment on a basis prohibited by local, state, or federal law. Should an applicant need reasonable accommodation in the application process, he or she should contact a company representative. If needed, are you available for overtime? Have you ever applied to or worked for Harry L. Hayes Plumbing, Inc. before? The relationship between you and the Harry L. Hayes Plumbing, Inc. is referred to as "employment at will." This means that your employment can be terminated at any time for any reason, with or without cause, with or without notice, by you or the Harry L. Hayes Plumbing, Inc.. No representative of Harry L. Hayes Plumbing, Inc. has authority to enter into any agreement contrary to the foregoing "employment at will" relationship. You understand that your employment is "at will," and that you acknowledge that no oral or written statements or representations regarding your employment can alter your at-will employment status, except for a written statement signed by you and either our Executive Vice-President/Chief Operations Officer or the Company's President. Email your resume to contact@harryhayesplumbing.com and request an application. All qualified applicants will be given a job interview appointment! 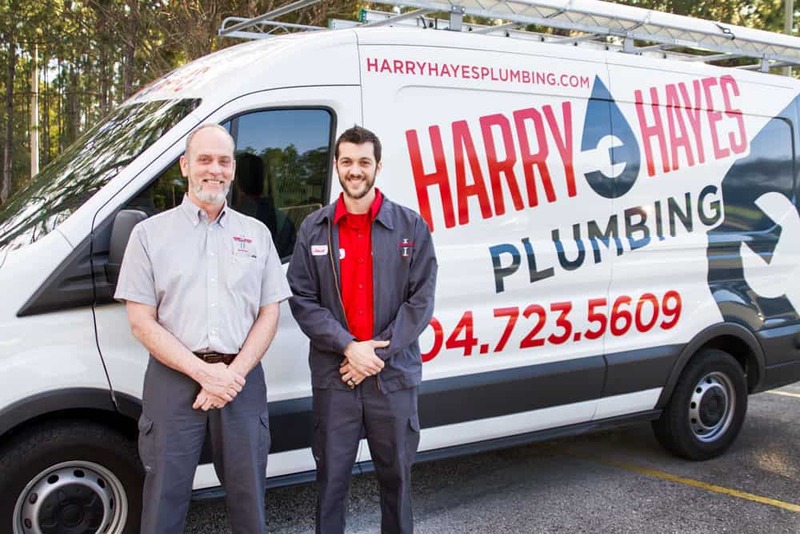 At Harry Hayes Plumbing of Jacksonville FL, our experienced team of plumbers is focused on your complete satisfaction. Having been in the plumbing business for over 30 years, we take pride in treating our customers with honesty, integrity, and providing quality workmanship. Mon-Sat: 8:00 a.m. to 5.00 p.m.
© 2019 Harry Hayes Plumbing. All Rights Reserved. Site by Possible Zone Marketing.